It's been a solid seven years since we first wrote about the entrancing work of Elena Tonra under the guise of Daughter. Three albums with bandmates Igor Haefeli and Remi Aguilella later, and she's returned to solo output. Listen to her debut track as Ex:Re, 'Romance', below. Popping up seemingly overnight, Ex:Re (pronounced 'x-ray') announced a new album and debut live performance, all appearing this week. That debut gig took place earlier this evening at London's Hoxton Hall, presumably the first of many to come, although Tonra has been careful to note that Ex:Re is a side project. 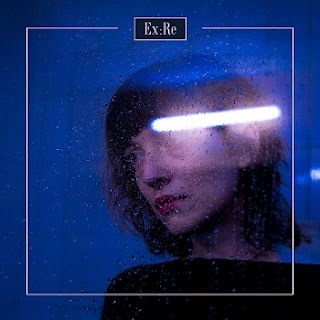 This first solo album, the self-titled 'Ex:Re', is out on Friday, and our first taste can be heard via Antonia Luxem's video. 'Romance' carries forward a familiar melancholy in its lyricism and vocal delivery but its pulsating production offers something different from Daughter. Dare we call this a good 'Romance'? 'Ex:Re' is out on 30th November through 4AD. Find more info at twitter.com/elenatonra.